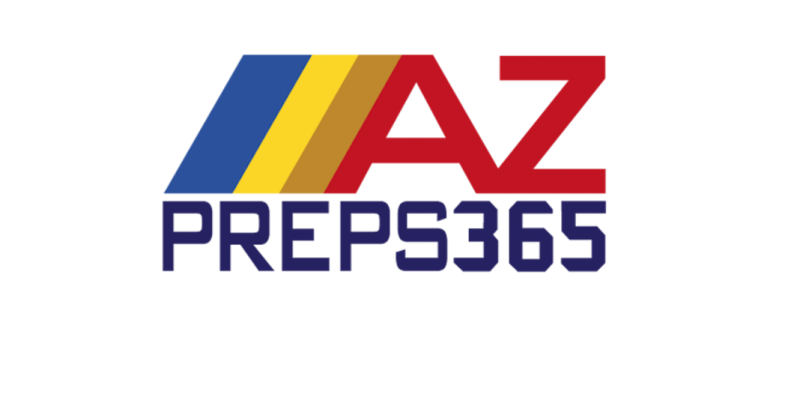 Arizona’s only High School sports show powered by the AIA and AZ Preps 365. Hosted by Jose Garcia, Brett Quintyne, and James Mello. Jose Garcia is currently the multi-media contributor for azpreps365.com, where he helped relaunch a popular preseason Arizona high school football online publication, Sollenberger’s Football Prep Magazine. He co-hosted the azpreps365 radio show for two years on KTAR. His passion for Arizona high school sports began in 1999 with The Arizona Republic, where he covered high school sports for 13 years. During his tenure with The Arizona Republic, he also served for five seasons as a sideline reporter for Channel 12’s popular high school football wrap-up show, Friday Night Fever. Jose grew up in Southern California and is a U.S. Army veteran. Brett Quintyne has been a resident of the Valley of the Sun since September 2012. Five days after arriving in the Phoenix area from his native New York City, he found himself on the sidelines of a memorable high school football game in Chandler and feels fortunate to have been a fixture of the East Valley sports scene ever since. This year will mark his fifth season as a sideline game reporter for azpreps365’s Friday Night Wrap Up Football Show. He also hosts the local CTown Rivals podcast and also handles the play by play for numerous prep sports for the National Federation of State High School Association Network. For two years, Quintyne also covered ASU Sports on a podcast with interviews and analysis. In March of 2017, he had the opportunity to do fill in play by play on an Arizona Rattlers broadcast. The Syracuse University product loves the game of baseball and after many years in the minor leagues as a broadcaster now works with MLB.com covering spring training, the Arizona Fall League, and the Diamondbacks as a statistician. James Mello is an Arizona native with a passion for sports. He was a varsity athlete at Gilbert High School, and with that experience, loves to root for Valley teams. James now covers the local high school sports scene by hosting AZPreps365's Friday Night Drive and the Friday Night Wrap-Up Show. The AIA is a voluntary association of public and private Arizona high schools. Since 1913, the organization has created and sustained interscholastic activities that encourage maximum student participation by providing AIA member schools with an even playing field to ensure fair and equitable competition. The AIA believes that providing interscholastic activities for Arizona high school students creates personal development opportunities with a balanced focus on academics and extracurricular activities. Through its Arizona member schools, the AIA reaches more than 100,000 participants in high school activity programs. The organization hosts 5,000 championship contests and maintains officiating for more than 45,000 regular season games. For more information, visit www.aiaonline.org and www.azpreps365.com. The Arizona Interscholastic Association now has one radio home to showcase the state’s high school athletes thanks to a new all-sports voice in Arizona. The Fanatic (KQFN-AM), on 99.3 FM and 95.9 FM in the Valley and 1580 AM state-wide, will soon begin to air the AIA’s high school shows and games it produces with its staff at azpreps365.com. In addition, a new AIA Friday Night Pregame Show on The Fanatic will run from August-May. Besides the pre-game show, The Fanatic also will broadcast Friday night football and basketball games of the week, state championship games and the popular AZPreps365 Friday Night Football Wrap-Up and Saturday morning shows.